New York : That winky-face emoji that you use at the end of a text isn’t just a fun picture added to your sentence. It can convey linguistic meaning that changes the interpretation of the sentence, finds a new study. The findings showed that the brain processes ironic emojis in the same way as ironic language, indicating emojis convey meaning in a sentence. “Emojis are ubiquitous. They are seemingly everywhere, and people use them a lot in text messages and online along with language,” said Benjamin Weissman, doctoral student at the University of Illinois in the US. 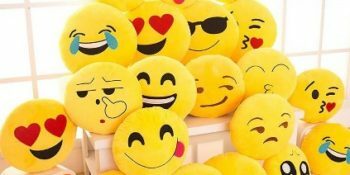 Words combined with emojis can be considered another form a multimodal communication, similar to words plus gestures or words plus facial expressions, the researchers said. “Spoken and signed languages evolved long before humans developed written representations of language, and spoken and signed languages have ways of enhancing or changing meaning through mechanisms like intonation or gesture,” Weissman added. “Emojis can convey irony or sarcasm in a written format in the same way we might use intonation to convey the same thing when speaking,” he noted. For the study, appearing in the journal PLOS ONE, the team examined the brain wave patterns associated with language processing, including a pattern called the P600 — a kind of “error signal” that occurs when a person encounters something linguistically unexpected. The signal indicates the brain is reprocessing or reanalysing the content of the sentence. Then they asked a total of 106 participants to read sentences followed by an emoji — either a smile, frown or wink — while their brain waves were recorded. They were also asked how they interpreted the meaning of the sentences. Sometimes the emojis matched the literal meaning of the sentence, but in other cases they were construed as indicating irony. According to researchers, the study helps broaden our view of communication. It can be words, or words plus pictures, or words plus gesture, and it can be words plus emojis. “You can’t just use a string of emojis, but when you pair emojis with words, they can enhance each other. 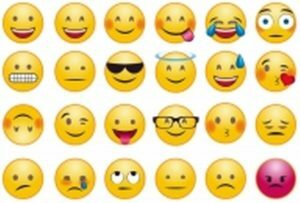 The combined effect of written words plus emojis is bigger than words or emojis alone,” the researchers stated.